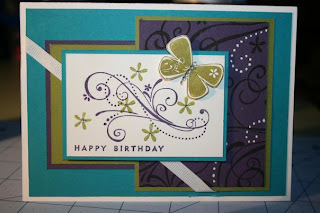 I'm so excited about this card as I had more fun making it than a 'girly' one for a change. This is all thanks to SU for putting out some brand new brads to help jazz things up a tad for those hard to do masculine cards. Hope Brett likes it (and he doesn't read my blog before Father's Day). This is the card that the children in my class will be making for Father's Day this week. 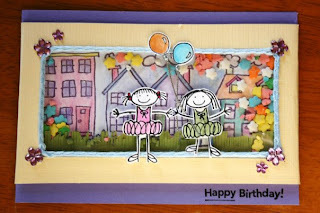 It will be such a chore to do card making at school (Not!). 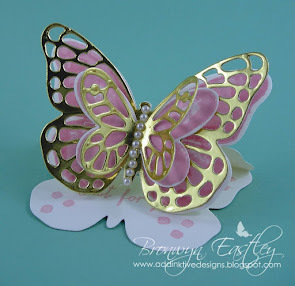 They love using the Cuttlebug and this is one of my new embossing folders. Fun times ahead! 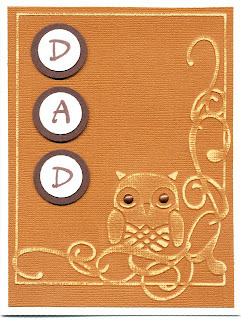 Accessories: Brown brads, Cuttlebug Embossing Folder - Owl Flourish, Circle Punches (1", 3/4"), Sanding Blocks. A cute little baby girl was welcomed into the world about 3 weeks ago. Congrats to Peter and Courtney on the arrival of Malaika. This is the first card that I have made in as many weeks and it felt good to get back to my crafting table! 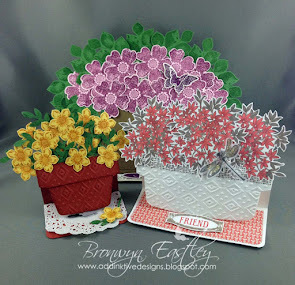 I love the new FLOWER ASSORTMENT BRADS featured in the Spring Mini Catalogue. 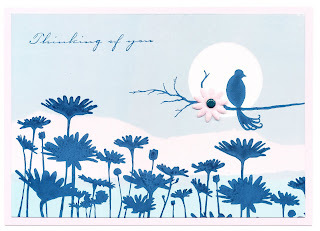 Click here to view the inspiration for this card and to visit Sharnee's blog. You'll also see that I have finally worked out how to link to other sites in the section, Places I Visit, in the right hand column. 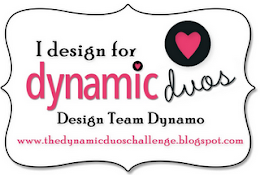 You'll find loads of inspiration from these very talented people. Oh.. and the catalogues are now linked to online sites as well, so you can easily view them if you don't have your own personal copy. 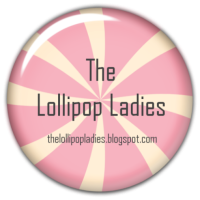 I am slowly getting a 'handle' on the world of blogging. Thanks for your patience. 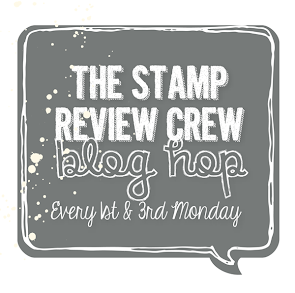 I had to feature another 'guest' on my blog, the lovely Jeane. She is Tania's mum. You can see where Tania gets her talent from. I work with Jeane and a few years back, CCA sent us on a school sponsored trip to Vanuatu. I got to know her really well but she's been hiding her crafting talent up until now. 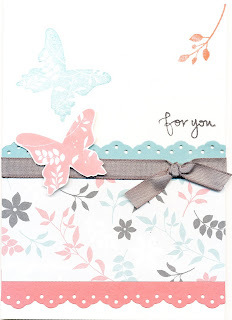 I just love the colours and combination of stamp sets here. Hope to feature some more of her designs at a later stage. 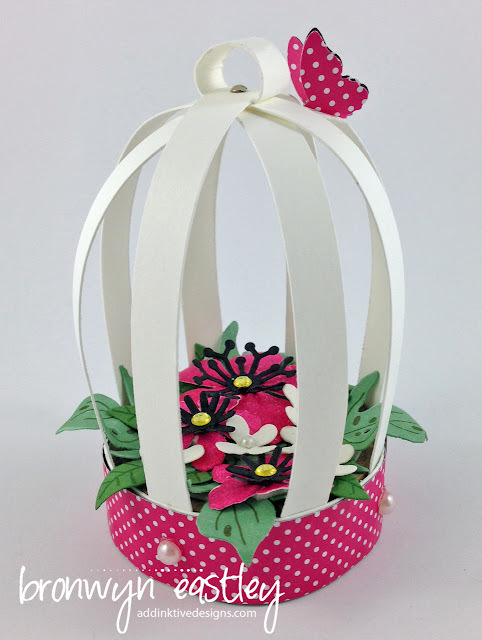 I am really looking forward to the school holidays so I can get back into paper crafting. Sickness and then reports have kept me out of action for awhile. Thanks for browsing at my little blog. I've just had a fellow Tasmanian look at my posts on Splitcoast and we've emailed. Hope to catch up with Kathy in Hobart. Technology is a great tool to help form connections. What a blessed life I have. Hi everybody. 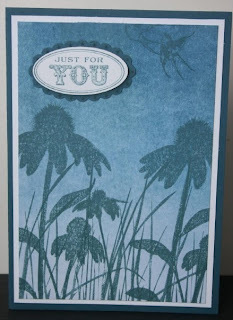 I've been very self-indulgent lately and have posted some of my cards on 'Splitcoaststampers' (under BronJ). 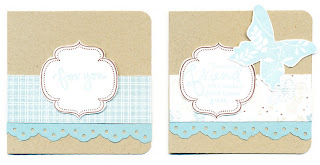 I thought it was time that I featured my top 4 choices of Tania's very cute cards in my blog. Tania joined up as an SU Demonstrator the same time as I did and we had fun at Hobart Regionals together last year! She is my one and only 'recruit' as well as a great friend. 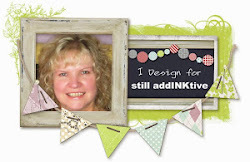 You can view her creations in her, 'Cards I've Made' albumn, if you network with her on 'Facebook' (a site I spend way too much time on). 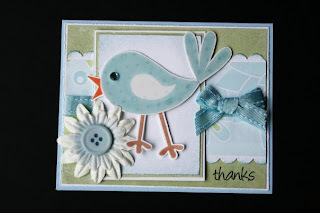 This card features the cute bird from the 'Good Friend' Stamp Set. 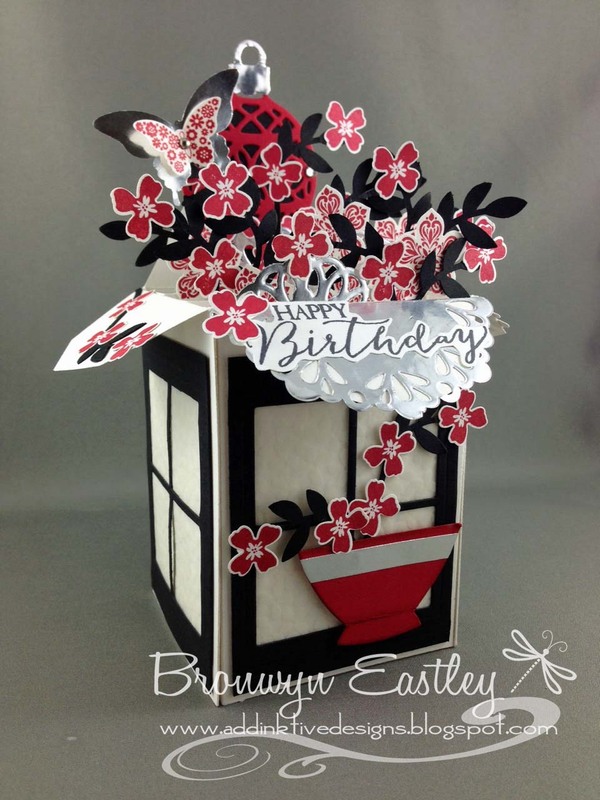 A cute birthday card for Kitty made from 'All in the Family' and 'Neighbourhood'. I'm guessing that's Charlotte and Kitty at dancing lessons. Adorable!! I love this set, 'Priceless', and the colours go so well together. Just in case there's somebody out there in the cyber world that actually checks to see if I've posted anything new lately, the answer is NO!! I have been out of action due to my Pop's passing and have now come down with some 'bug'!! Very annoying. While the panadol is still working, I thought I would share my swaps that I made for Convention in Canberra - way back in May! Apologies to those that have already seen these on Facebook but I thought that after all the effort I went to, to get these ready, they were worth putting on my blog. 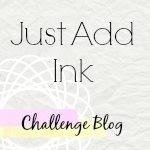 I have got some new stamps and accessories to play with but don't feel that energetic or creative at the moment - hopefully, I'll be able to share some new creations soon. Congratulations Lisi on the launch of your new business - 'Miss Vintage'. Can't wait to see your shop when it opens in the Launceston CBD. I was impressed with the cute little invite and then to have my purchase put into a trendy little gift bag stamped with the little retro, 'Cheep Talk' birdie!! 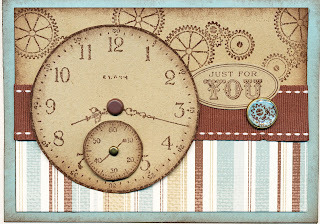 Watch out for some vintage/retro cards that Lisi will have in stock soon! This little soap dish will hold my business cards when I get around to making them. This is the cute little owl from the Forest Friend's Stamp set. It's a new release in the Spring Mini Catalogue. 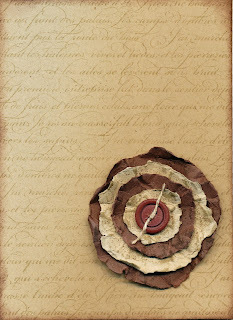 Accessories: Soft Subtles (retired) buttons, Linen thread, Vintage Brads, Kraft taffeta ribbon,1", 1 1/4" and 1 3 /8" circle punches, Designer Label punch, Distressing tool. 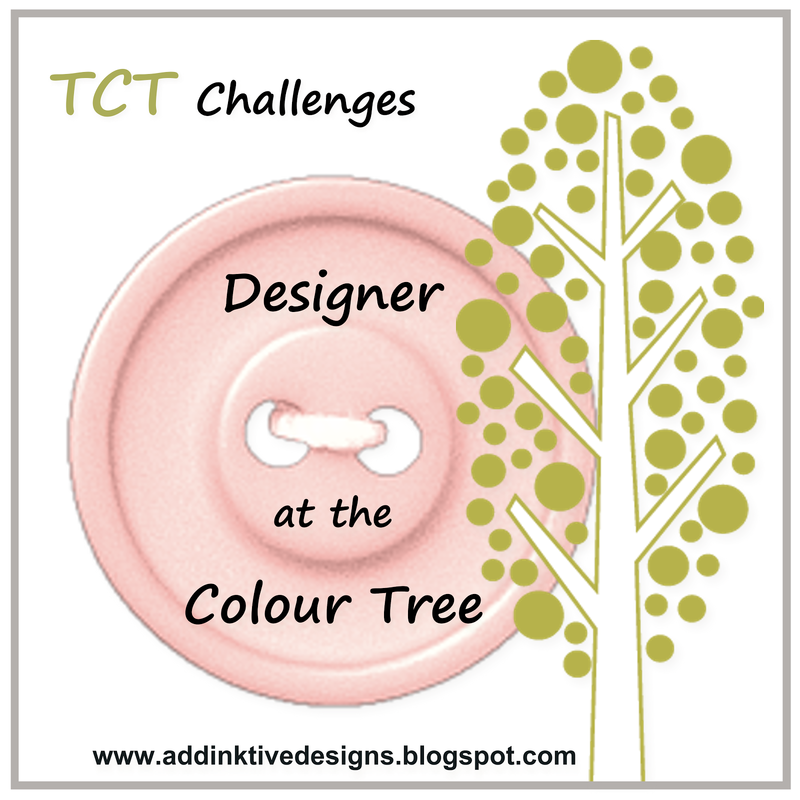 Techniques: Sponging and dry embossing using the 'Leafy Branch' Cuttlebug embossing folder. 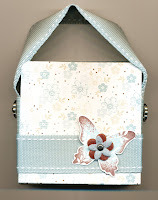 Accessories: Crystal Effects, Kiwi Kiss/VeryVanilla satin ribbon, Walk in the Park DSP, Eyelet border punch. The CD case we made. 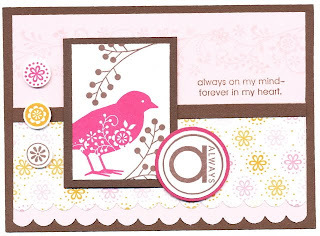 Here's one of the sample cards I made to highlight the new 'Oval All' stamp set. 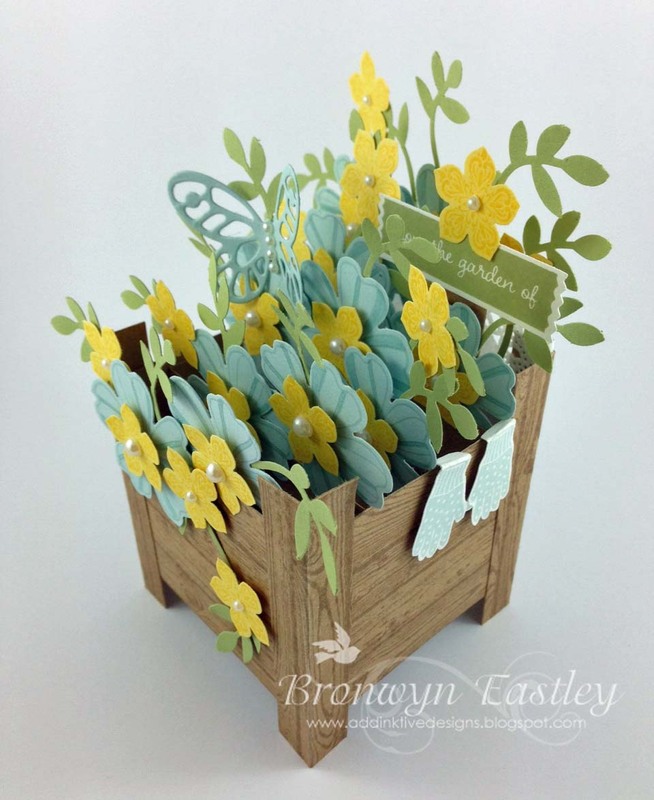 It is made with the Parisian Breeze textured speciality papers. 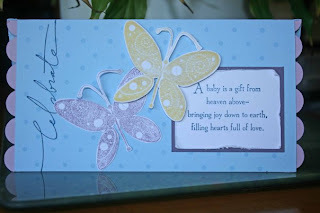 Choc Chip ink was used to stamp the design onto Kraft card stock and then it was punched out using the Scallop Oval Punch. The Baroque Border was 'wheeled' on with Baja Breeze ink. Carolyn is having fun putting the CD case together. I guess it will come in handy. Her new CD 'Reflection' is one of the best worship CD's I own. 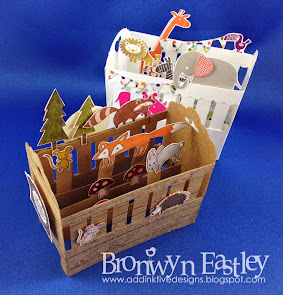 Christine and Andrea enjoyed making the little note card tote and matching cards. Apologies to Lisa-Marie. How did I miss taking a photo of you? 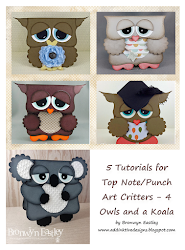 Leonie is right at home making the cute 'owl' card and Jo is secretly becoming a paper craft addict but doesn't want to admit it yet! A close up of the 3X3 notes. Rock'n' roll technique with Baja Breeze and Choc Chip. It's fun getting ready for workshops. 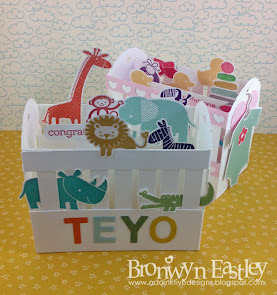 I've seen this little 3x3 tote box on Splitcoast stampers and was hanging out to make a set of cute little gift cards. Of course I had to use my new stamp set, Great Friend! The new Parisian Breeze specialty Designer Series Paper is perfect for such a project as it is printed on textured, cover weight card stock. Accessories: Parisian Breeze DSP, filigree designer brads, vintage brads, baja breeze double-stitched grosgrain ribbon, flower fusion too, corner rounder punch, sticky strip, stampin' dimensionals. 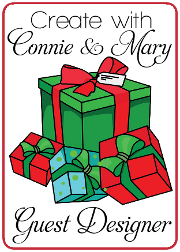 I hope Shirley will enjoy her workshop! Phew! 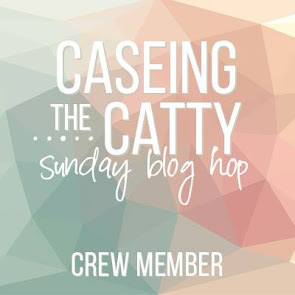 I thought I'd lost access to my blog. 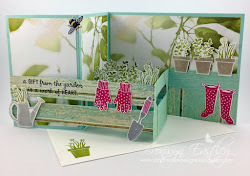 It's just after 12.30am and I've finally managed to upload my first card to celebrate the launch of the new Spring Mini Catalogue and my blog!! 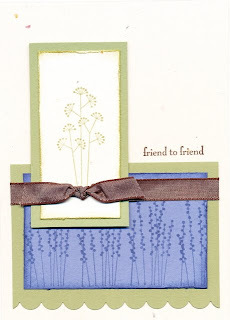 Accessories: Gray taffeta ribbon, eyelet border punch, Walk in the Park designer series paper, stampin' dimensionals. I just love the butterfly in this set. Thanks for looking ... and goodnight!